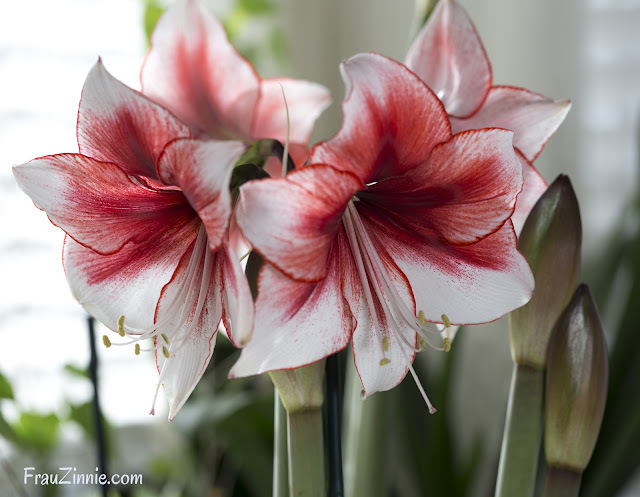 Blooming now in my houseplant haven is 'Temptation' amaryllis. This is my first time growing this variety and it is a stunner! I purchased three bulbs from Van Engelen and potted them all together into one medium size pot. It took a long time for the bulbs to wake up, but once they did, they grew quickly. What drew me to try this variety was the description of the flowers on the website: "It is white with diffuse raspberry to crimson splashes on its upper petals, less on its lower petals, variable crimson petal edges, a dark scarlet-red starburst and pink-to-white stamen." I even included it as a potential present for the gardener in your life in the gift guide I assembled for holiday shopping. 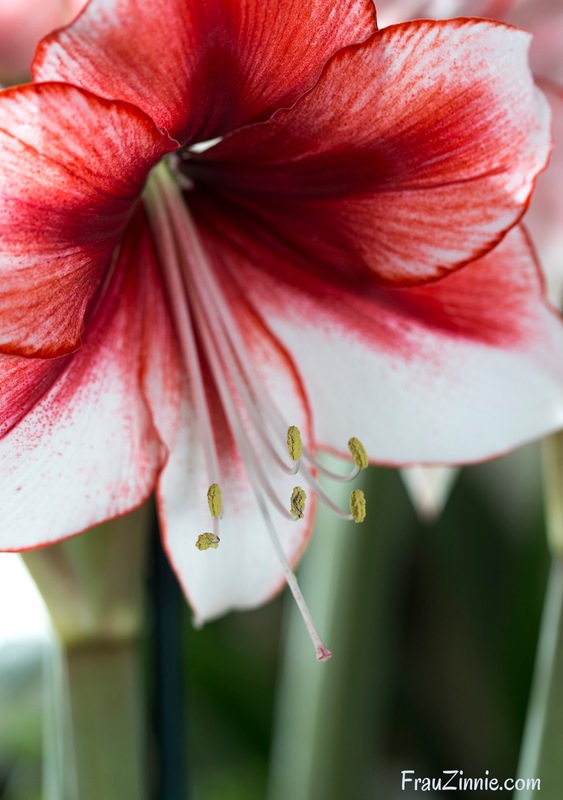 Each bulb sends up two bloom stalks, each with four flowers. With three bulbs in one pot, this planting will feature six bloom stalks. It's a starlette in its own right, even giving 'Dancing Queen' a little competition.